Last year, I attended the “Women in Leadership Program”, a short course run through the UNSW Business School. It was an extremely insightful and reflective program and I walked away with some additional tools and learnings which have hugely benefited me in working on my leadership skills. In my profession, communication with a diverse range of people is part of everyday life, and one particular area in the course which I found to be very helpful was learning about communicating with impact. Who are some leaders around the world that have influenced you in memorable ways? What are some qualities that they exhibit? For me personally, Martin Luther King Jr and Franklin Roosevelt came to mind. To me, Martin Luther King’s energy and confidence set him apart from other leaders of his time. He was able to influence his followers to carry out his vision in a non-violent way, this allowed the general public to accept social change more readily. 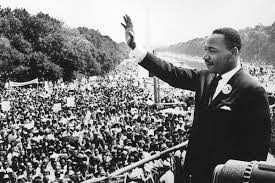 In particular, his speech “I have been to the mountaintop” was an excellent example of communicating with impact. He delivered this speech the day before he was assassinated knowing full well his life was in danger and that time to carry out his vision was limited. At this stressful and critical time, he was still able to deliver a calm presence to his audience, reassuring them that the liberation of his people will happen as he had been able to “go up to the mountain” and has seen the “Promised Land”, ensuring his vision lived on. "I may not get there with you. But, I want you to know tonight, that we, as a people, will get to the promised land." 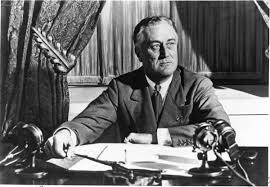 Similarly, President Franklin Roosevelt was a true leader of his time. Realising that the USA was in a national crisis, he used his inaugural address to communicate with the nation, having an enormous impact. Throughout his speech, he challenged the nation to face their fears and to come together to carry out his vision to conquer the Great Depression. He gave the public the confidence that they would survive these dark days, but that it was vital they stick together. So how do you use these qualities to make an impact? The key to delivering with impact is to think about how you will connect with your audience. Decide on the effect you want to have and adjust your body and energy to reflect that. This also requires constant reflection, if you are not having the effect you want make some changes. I became aware that I need to be flexible in the way that I communicate in order to deliver the most impact to my targeted audience. While I generally like to communicate with high energy and enthusiasm this strategy will not suit all audiences. Sometimes, a much calmer presence might be required instead. Throughout the program, I learned that there is no set formula to communicating with impact. Instead, you need to develop the ability to be completely in the moment and confident enough to handle the unknown. A true leader is able to accept themselves and, regardless of the challenges ahead, still express their feelings and arguments to ensure their vision is supported. Developing these skills takes practice, constant reflection, and self-awareness. If you take on the challenge, then one day you may be a leader of your generation.